I expect you’re still mulling over the question whether ethics is objective or subjective. If you’re not, you should be! It’s a tricky issue. I have said that I find the price of accepting ethical subjectivism to be too high, and also that I expect that you do too (or at least that further reflection will lead you to do so), but that of course leaves the question whether the price is indeed too high still open for discussion. Moreover, it should be acknowledged that ethical objectivism also comes at a cost. One such cost can be put in terms of a question that has troubled many people, one that may well have occurred to you: if there are objective matters of fact about ethics, what accounts for them? Or, as it is often put, where does morality come from? First interpr​etation: Where do moral facts come from? Consider, for example, torturing a baby just for the fun of it. I hope and expect that we can all agree that acting in this way would be overall morally wrong and that anybody who denied this would be making a serious mistake. But where does this fact − the fact that it would indeed be overall morally wrong to torture another person under such circumstances − come from? What explains this fact? Well, that’s just one instance of the question that I want to look into, the question of where any such moral fact comes from. Second interp​retation: Where do our moral beliefs come from? For example, I have just indicated that I believe, and that I believe that you believe, that it would be overall morally wrong to torture a baby just for the fun of it. What explains our having this belief? That’s an interesting question, to which a number of answers are possible. I may have the belief simply because it’s something that my parents taught me. You may have it because you’ve come to accept it after having given it careful consideration. For another person it may just be a “gut intuition.” Some people offer what they take to be a “deeper” explanation for all our common moral beliefs: they are the product of evolution, inasmuch as holding these beliefs has turned out to confer reproductive advantages on those who hold them. Well, that may be so. But whether or not it is so is not something I will be discussing. That is, I will not be discussing the second interpretation of the question “Where does morality come from?” Our concern will be with the first interpretation of this question. There is one answer to the first interpretation of the question just posed that is very popular today and has been for centuries, indeed millennia. It is the answer that morality comes from God. This answer is captured in what has come to be called the Divine Command Theory. The basic and still rather fuzzy idea is that, if you want to know what’s morally right and what’s morally wrong, you need only to see what it is that God commands. Morality is “constituted” by his commands. What’s right and what’s wrong is whatever he ordains or decrees to be so. Before I spell out the Divine Command Theory in detail, let me just warn you against some common misconceptions concerning it. We are all familiar with the Ten Commandments. (Actually, I should probably express myself more carefully. We are all familiar with the fact that there is a list of ten commandments that are commonly said to have a divine origin, but how many among us are able to specify each of the items on this list?) Be that as it may, you should not draw too close an association between the Divine Command Theory and the Ten Commandments, for two reasons. Thus we will not be focusing on the Ten Commandments in our discussion of the Divine Command Theory, although it is of course possible for someone to accept both the Ten Commandments and the Divine Command Theory. Indeed, I suspect that this frequently happens. Perhaps it’s also worth pointing out that our discussion will have nothing to do with Christianity as such. This is because of two further points. Thus, nothing in what follows puts, or is intended to put, Christianity as such (or indeed any other religion) to the test. Nonetheless, it is of course true that many Christians do accept the Divine Command Theory, having been taught to do so practically since birth. You may be such a person. If so, the discussion to follow will have especially strong significance for you. Although, as I have just said, it will not put Christianity as such into question, it may well put your version or understanding of Christianity into question. This sort of challenge can be troubling and very difficult to deal with. It will thus be especially important for you to try as hard as you can to keep an open mind. 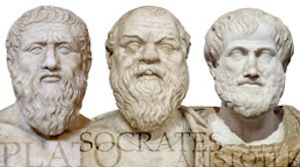 In ancient Greece, there were three very famous philosophers, Socrates (who lived roughly from 469 to 399 BC), Plato (who lived roughly from 429 to 347 BC), and Aristotle (who lived roughly from 384 to 322 BC). Of course, there were many other philosophers around during those times, but these three stand out. It is no exaggeration to say that much of western civilization owes its character to them. They were truly extraordinary people. Moreover, they were tightly associated with one another, in that Plato was a student of Socrates’ and Aristotle was in turn a student of Plato’s. Socrates left no writings behind for us to study, but Plato and Aristotle left a good deal behind. Here I want briefly to discuss just one of Plato’s writings. Many of Plato’s writings are in the form of dialogues, and in many of these dialogues the chief figure is someone whom Plato calls Socrates (obviously named after the real Socrates − to what extent Plato’s Socrates resembles the real Socrates is a matter of debate, but not something that need detain us here). Also, many of Plato’s dialogues are named after the next most important character in the dialogue. (In many but not all of the dialogues there are only two characters, Socrates and the person after whom the dialogue is named.) This is the case with the particular dialogue I want to discuss. The two characters in the dialogue are Socrates and Euthyphro, and the dialogue itself has the title Euthyphro. In this dialogue Socrates and Euthyphro discuss a number of issues, but there is one in particular that is relevant to our inquiry into the issue of where morality comes from. (c) an act’s being overall morally right consists in God’s not commanding that that act not be done (i.e., in God’s permitting that act). Note two points in particular. First, “consists in” is to be understood as meaning “is the very same thing as.” Compare, for example, the claim that someone’s being a brother “consists in” his being a male sibling. This is to be understood as saying that to be a brother is the very same thing as to be a male sibling. Similarly, to say that a number’s being even “consists in” its being divisible by 2 (without remainder), is simply to say that a number’s being even is the very same thing as its being divisible by 2. 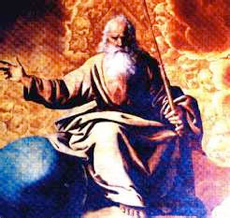 So, too, when the Divine Command Theory says that an act’s being overall morally obligatory “consists in” its being commanded by God, this is to be understood as the claim that the act’s being overall morally obligatory is the very same thing as its being commanded by God − that being commanded by God just is what it is for an act to be overall morally obligatory. Second, talk of “an act” is to be understood as referring to a certain specified way of acting under certain specified circumstances − for example, having an abortion when pregnancy threatens one’s life or, for another example, engaging in homosexual behavior with another consenting adult. This is in keeping with what was said earlier in the discussion of objectivism and subjectivism. (Remember the example of the commandment not to kill? Presumably what’s meant is that it is overall morally wrong to kill another human being under certain specified circumstances, although just what circumstances are supposed to be in question is a matter of debate.) Thus, according to the Divine Command Theory, to say that having an abortion when pregnancy threatens one’s life is overall morally right or justifiable is equivalent to saying that God permits such abortions (thereby leaving open whether he permits abortion under other circumstances), whereas to say that such abortions are overall morally wrong is equivalent to saying that God forbids them. Likewise, to say that engaging in homosexual behavior with another consenting adult is overall morally right or justifiable is, according to the Divine Command Theory, simply to say that God permits such behavior (thereby leaving open whether he permits homosexual behavior under other circumstances), whereas to say that such behavior is overall morally wrong is to say that God forbids it. There is also a third point worth noting, and that is that, as I indicated earlier, there is no essential connection between the Divine Command Theory and the Ten Commandments. Plato was not part of the Judeo-Christian tradition, and in fact in the Euthyphro he writes of “the gods” rather than of “God.” Nonetheless, the thesis that he has Euthyphro endorse is (one version of) the Divine Command Theory. (II) God comm​ands A because A is overall morally obligatory? To say (I) (that A is overall morally obligatory because God commands it) is to say that God’s commanding A makes A overall morally obligatory. In a nutshell, to say (I) is to say that morality comes from God’s commands. However, to say (II) (that God commands A because A is overall morally obligatory) is to say that God commands A for the reason that A is overall morally obligatory. In a nutshell, to say (II) is to say that God’s commands come from morality. In both pictures, God is “on high” and commands us, who are “down below,” to do A. (The vertical arrow ↓ stands for “commands.”) “MO” stands for “overall morally obligatory.” The difference between the pictures is in the horizontal arrows. The arrow → in Picture I stands for “creates”; the arrow ← in Picture II stands for “guides.” Again, the idea in Picture I is that God’s commanding us to do A creates the fact that A is overall morally obligatory, while in Picture II the idea is that, in commanding us to do A, God is guided by the fact that A is overall morally obligatory − this fact constitutes the reason or basis for his command. Arg. 1: (1) Suppose that (II) is true. (2) If (II) is true, then what it is for A to be overall morally obligatory and what it is for A to be commanded by God are two distinct things. (3) If what it is for A to be overall morally obligatory and what it is for A to be commanded by God are two distinct things, then clause (a) of the Divine Command Theory is false. ∴ (4) Clause (a) of the Divine Command Theory is false. (Again, precisely the same kind of argument could be made against clauses (b) and (c) of the Divine Command Theory, that is, about what it is overall morally wrong or overall morally right to do. As before, though, we will for simplicity concern ourselves only with clause (a).) What should we make of this argument? Is it sound? Well, as you know, whether an argument is sound depends on whether it satisfies both of two conditions. The first condition is that of validity, the second is that of having premises that are all true. (2) If X, then Y. (3) If Y, then Z. This is indeed a valid form of argument. If you accept that X is the case, and that X implies Y, and that Y implies Z, then you cannot consistently deny Z. Thus Arg. 1 passes the first test for soundness. What about the second test, though? Are all the premises of Arg. 1 true? Let’s skip the first premise for the moment (you’ll soon see why) and go straight to the second. Just a little reflection reveals that the second premise of Arg. 1 is indeed true. After all, if (as proposition (II) states) God is guided by the fact that A is overall morally obligatory when he commands us to do A − if that fact constitutes the reason for his command − then of course it cannot be that he creates this fact by way of his command. On this view, the fact comes first, as it were, and the command comes after. The fact is the basis of the command. Hence the fact is one thing, the command another. Now consider the third premise of Arg. 1. This, too, is clearly true. If A’s being overall morally obligatory is one thing and God’s commanding us to do A is another thing, then, obviously, they are not the very same thing. But the Divine Command Theory says that they are the very same thing, that what it is for an act to be overall morally obligatory just is for that act to be commanded by God. Hence, if these are not the very same thing, the Divine Command Theory must be rejected. So far, we have noted two points about Arg. 1. First, it’s valid. Second, its second and third premises are true. That means that whether the argument is sound boils down to just one question: is its first premise true? If the answer is Yes, then the argument is sound. If the answer is No, then it’s not sound. In his response to Socrates, Euthyphro claims the answer to be Yes. If you think about it, though, this is a surprising answer. After all, what the first premise amounts to is the claim that God’s commands come from morality. It’s not surprising that, as Socrates points out with Arg. 1, this leads to the conclusion that the Divine Command Theory is false, precisely because that theory constitutes one way of capturing the idea that morality comes from God’s commands! If, as the Divine Command Theory says, an act’s being overall morally obligatory is the very same thing as its being commanded by God, then of course, since God’s commands come from God, then so too does morality. It might seem, therefore, that Euthyphro was ill advised to answer Socrates’ question by endorsing proposition (II) rather than proposition (I). Even though you cannot consistently embrace both proposition (II) and the Divine Command Theory, there’s no such problem with proposition (I). Thus, given the conflict between proposition (II) and the Divine Command Theory, it might seem that what Euthyphro should have done is to reject proposition (II) and accept proposition (I) instead. Then he could have held on to the Divine Command Theory after all. There is, moreover, another, closely related reason to be suspicious of proposition (II). In claiming that God’s commands come from morality rather than the other way around, this proposition is of course opposed to the idea that God is the creator of morality. But if God is not the creator of morality, he’s not the creator of all things. Yet the common conception of God is that he is the creator of all things. This seems to be implied by the first part of the traditional three-part view that God is (a) omnipotent (that is, all-powerful), (b) omniscient (that is, all-knowing), and (c) perfectly good or benevolent. How could it be that God is omnipotent without being the creator of all things? Well, this is, to say the least, a complicated question. Any attempt to do it justice by delving deeply into it would be a distraction from the pursuit of our main goal, which is to figure out whether to accept or reject the Divine Command Theory. Still, it’s worth noting that, despite appearances, perhaps proposition (II) does not conflict after all with the idea that God is omnipotent. We can ask: could God have made it the case that Fact 1 wasn’t a fact after all? That is, could God have so acted that it wasn’t the case that Alf was taller than Bert and Bert taller than Charlie? On the common conception of God, the answer is surely Yes. After all, assuming that God exists and that he is omnipotent, there would seem to be any number of ways in which he could have made it the case that Fact 1 was not a fact after all. He could have made Bert the tallest. He could have made Charlie the tallest. He could have refrained from even creating Alf, or Bert, or Charlie. And so on. And, just as with Fact 1, so too we can ask, regarding Fact 2, whether God could have made it the case that it wasn’t a fact after all. And, just as before, given the common conception of God, the answer is surely Yes. All he would have had to do was make Charlie 6 feet tall while keeping Alf at 5 feet, or make Charlie 7 feet tall while keeping Alf at 6 feet, and so on. In plain English, what Fact 3 says is this: if Alf is taller than Bert and Bert is taller than Charlie, then it is not the case that Charlie is taller than Alf. As we all know, this is of course true. But now let me ask you: could God have made it the case that Fact 3 wasn’t a fact after all? This time the answer would seem to be No. How could he? To change Fact 3, he would have to change Fact 2 while keeping Fact 1. But this is surely impossible. It cannot be that Alf is taller than Bert, who in turn is taller than Charlie, while Charlie is nonetheless taller than Alf. Not even God can do anything about that. You might think that I’ve made a simple mistake. All that God would have to do to change Fact 3 would be to change either Fact 1 or Fact 2. But that is not so. Suppose that he did change Fact 1 in one of the ways mentioned earlier − by making Charlie the tallest, for example, or by refraining from creating Alf in the first place. Even so, Fact 3 would still be a fact. Suppose that Charlie is in fact the tallest. Even so, it would still be the case that, if Alf were taller than Bert and Bert were taller than Charlie, then Charlie would not be taller than Alf. Or suppose that Alf doesn’t even exist. Even so, once again it would still be the case that, if Alf were taller than Bert and Bert were taller than Charlie, then Charlie would not be taller than Alf. Changing Fact 1 does nothing to change Fact 3. Nor, by itself, does changing Fact 2. Again, the only way to change Fact 3 would be to change Fact 2 while keeping Fact 1, and this is impossible. It thus seems that there are some things that even God cannot do − he cannot do the impossible. 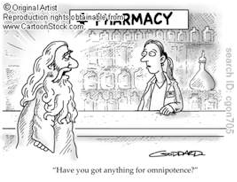 Does that mean that he is not omnipotent after all? No, I don’t think so. If you were to define omnipotence as the ability to do anything whatever, then it would indeed follow that God is not omnipotent. But that strikes me as the wrong account of omnipotence. Omnipotence is the ability to do anything that it is possible to do. Nothing I have said shows that God is not omnipotent in this sense. Why go into all this? Well, remember that proposition (II) implies that God is not the creator of morality, and that this might be thought to imply in turn that God is not omnipotent. But if, like Fact 3, morality is not the sort of thing that can be created, then God’s not creating it would not be a sign that he is less than omnipotent. Still, I grant that this is a big “if.” Even if Fact 3 is the sort of thing that lies beyond God’s power (and of course there are some people who regard this as a big “if,” too), why think that morality is as well? I have certainly not argued for this claim here. Nor will I. To do so would take us too far afield. And so you might still be of the opinion that proposition (II) has two strikes against it. First, as Socrates has shown, it is inconsistent with the Divine Command Theory. Second, it at least poses a threat to the idea that God is omnipotent. Why not, then, simply turn to proposition (I) as the better alternative? It is not inconsistent with the Divine Command Theory and, in portraying God as the creator of morality, it certainly doesn’t pose any threat to the idea that God is omnipotent. Isn’t it thus clearly the better choice? Unfortunately, things are not that easy. Proposition (I) faces a very serious challenge of its own. It implies that God’s commands are morally arbitrary, that is, that they have no moral basis. Because this point may not be immediately apparent, and because it is so important, let me develop it carefully. Picture III is a picture of God existing without morality. Picture IV is a picture of morality existing without God. Picture V is a picture of a world where neither God nor morality exists. And doubtless you can think of other pictures, too, some with God issuing commands that are not connected to morality, others where God is silent but where there are nonetheless some moral truths, and so on. One point is clear, however. Only one of these pictures is a picture in which God does issue commands and these commands do have a moral basis: Picture II. Certainly Picture I is not such a picture. According to Picture I, God does indeed issue commands, but he does not have any moral basis for his commands. On the contrary, on that picture God creates what is overall morally obligatory, right, and wrong by virtue of his commands. But no one, not even God, can make use of something (in this case, morality) in order to create that very same thing. Thus the commands must themselves be morally arbitrary, that is, baseless from a moral point of view. But this, it might seem, is too much to swallow. Surely God has very good moral reason for the commands he gives. If that is the case, though, we have to reject proposition (I) and accept proposition (II) after all. Arg. 2: (1) If (II) were not true, then any command by God to do A would be morally arbitrary. (2) No command of God’s is morally arbitrary. ∴ (3) (II) is true. This is an argument of Type V − an argument by reduction to absurdity. As noted in the section on philosophical argumentation, any argument of this type is valid. Hence, whether it is sound all depends on whether its premises are true. Now, the first premise is certainly true since, again, only proposition (II) portrays God being guided by moral reasons when making his commands. And so, whether Arg. 2 is sound ultimately boils down to the question whether its second premise is true. Is it true? Well, I will leave that for you to judge. You may not believe in God, or you may believe in God but believe that the common conception of what he is like is somehow mistaken. But if you do accept the common conception of God, I think you will have a hard time squaring a rejection of premise (2) of Arg. 2 with that conception. The problem is that rejecting this premise seems to conflict with the idea that God is perfectly good or benevolent. Surely a perfectly good being would not give commands for no reason but would, rather, base his commands on good reasons. Yet only Picture II provides us with such a picture. Now, which list do you think God would choose? List 2, presumably. But why? Proposition (II) provides a straightforward answer to this question: because refraining from lying, refraining from killing, refraining from adultery, showing respect, refraining from stealing, etc. are morally obligatory. (Of course, for this answer to be persuasive, it would need to be filled in by reference to specific circumstances. As we saw before, it seems correct to say that lying is overall morally right under some circumstances.) But what answer can be given on proposition (I)? None that would appear satisfactory. In particular, a proponent of proposition (I) could not say, “God would never choose List 1, since all the types of action on that list are morally wrong.” This is the answer that only proposition (II) can provide. Remember, on Picture I, there is nothing wrong with lying, killing, etc. unless and until God chooses to make them wrong by commanding us not to do them. Again, on Picture I, God cannot appeal to the fact that these ways of behaving are already wrong as his reason for commanding us not to engage in them, precisely because there is no such pre-existing fact. To put the point another way: according to proposition (I), if God were to choose to base his commands on List 1 rather than List 2, he would not be making any kind of mistake. On the contrary, his so doing would make the items on that list obligatory! But that’s still not good enough. Why does God want us to live in peace and harmony rather than chaos? The natural answer to this question is that he understands that this is (or would be) a good way for us to live. But such understanding presupposes, in the manner of proposition (II) and not proposition (I), that there is some moral standard to which God is appealing when making his choice regarding what list to choose. He is not creating this standard when making this choice but rather basing his choice on the standard. Once again, then, we see that, to avoid having to declare God’s choice morally arbitrary, we must revert to proposition (II). It is only that proposition that provides a standard or reference point by which to measure or assess God’s commands. On proposition (II) it makes perfect sense to say that God is perfect, since his commands adhere to and are guided by the true moral standard. Proposition (I) deprives us of any way of saying this, precisely because it precludes the existence of any such standard by which to measure or assess God’s commands. You might think that we could have our cake and eat it too by imagining God not as creating morality through his commands but rather as creating morality first and then issuing his commands to us in accordance with the standard that he has already created. In that way he would be the creator of morality but his commands would not be morally arbitrary, since they would be issued on the basis, the moral basis, that he himself had created. Nice try, but no cigar. Granted, in this scenario God’s commands would not be morally arbitrary, since they would be based on the standard that he had already created. But the standard would, once again, be morally arbitrary. There’s no way around the simple fact that the creation of a standard cannot itself be based on that very standard, and so the creation of a first standard cannot itself conform to any standard at all. Proposition (I) therefore poses a serious challenge to the common conception of God. So which proposition should we choose, (I) or (II)? I leave the answer up to you. Your answer may of course be that we should choose neither. But the point I am concerned to stress is that we cannot choose both. Moreover, giving up either one of the propositions comes at a considerable cost, and yet we cannot avoid incurring such a cost. (This is why this section has been entitled “The Euthyphro dilemma.”) If you want to hold on to the Divine Command Theory by choosing proposition (I), you do so at the cost of having to declare God’s commands morally arbitrary, thereby undermining the idea that God is perfectly good. If you find that too high a price to pay, then you are forced to accept proposition (II), which is the only proposition that makes sense of the idea that God has good moral reasons for the commands he makes. But acceptance of this proposition requires that you reject the Divine Command Theory (this is precisely the point that Socrates made to Euthyphro) and so requires that you give up on the idea that God is the creator of morality. Suppose that you find the cost associated with proposition (I) too great and therefore revert to proposition (II). You may well do this rather reluctantly, since you now recognize that it requires giving up on the Divine Command Theory. Still, you wouldn’t be the first to do so. For example, St. Thomas Aquinas, a Catholic priest who lived from 1225 to 1274 AD and who is widely regarded as one of the greatest theologians and philosophers in the Christian tradition, rejected the Divine Command Theory precisely because he subscribed to proposition (II), to the view that God, in his infinite wisdom and perfect understanding, issues his commands in keeping with the demands of morality. In rejecting the Divine Command Theory, you will of course be giving up on the idea that morality comes from God, and that may prompt you to ask: well, if morality doesn’t come from God, where does it come from? The answer cannot be: Supergod. Why? Because Supergod’s creation of morality would be just as morally arbitrary as God’s. So what is the answer? I won’t venture to say, other than to point out that the question presupposes something that might be false, namely, that morality “comes from” somewhere. Recall the discussion of Facts 1-3. We can ask: where does Fact 1 come from? The answer could well be: God. This answer would reflect the idea that God created Alf, and Bert, and Charlie and that, in doing so, he made Alf the tallest and Charlie the shortest. So, too, for the question where Fact 2 comes from. The answer could well once again be: God. But the question where Fact 3 comes from is different. We have seen that the answer cannot be that it was created by God, and indeed the idea that it was created at all seems based on a misunderstanding. Some facts hold of necessity and are thus not contingent on having been created in any way. Perhaps the fundamental truths of morality are like that. If so (but this is a very big and controversial “if” that we have no time to investigate), then it would be a mistake to think that morality “comes from” anywhere. Notice that I have not insisted that proposition (II) is true. I have only insisted that you cannot accept any other proposition and still claim that God’s commands are morally well founded. Moreover, I have insisted (along with Socrates) that, if you therefore do accept proposition (II), then you must reject the Divine Command Theory. Suppose, now, that you have decided, again perhaps reluctantly, that you must reject the Divine Command Theory for the reason stated. Does that mean that you must deny that there is any significant relationship between God and morality? The perhaps surprising answer is: definitely not. An act’s bein​g overall morally obligatory consists in God’s commanding it. (ii) if an act is overall morally obligatory, then God commands it. There are two important points to notice. First, the Stronger Thesis implies the Weaker Thesis; thus, anyone who accepts the Stronger Thesis is committed also to accepting the Weaker Thesis. Second, the reverse is not true; that is, the Weaker Thesis does not imply the Stronger Thesis, and so it is not the case that accepting the Weaker Thesis requires accepting the Stronger Thesis. Let me explain. As to the first point: remember that “consists in” is to be understood as meaning “is the very same thing as.” If an act’s being overall morally obligatory is the very same thing as its being commanded by God, then of course it will also be the case that (i) any act that God commands is overall morally obligatory and (ii) any act that is overall morally obligatory is one that God commands. As to the second point: suppose that, for the reasons discussed above, proposition (II) is true and so the Stronger Thesis is false. It could still be that the Weaker Thesis is true. Why? Because, even if the Stronger Thesis is false and so an act’s being overall morally obligatory is not the very same thing as its being commanded by God, it could still be the case that (i) any act that God commands is overall morally obligatory and (ii) any act that is overall morally obligatory is one that God commands. Let me try another way of putting these points. The Stronger Thesis says that an act’s being overall morally obligatory is identical to that act’s being commanded by God, whereas the Weaker Thesis merely says that the former is inseparable from the latter in the sense that it cannot ever be the case that one occurs without the other. Now, identity implies inseparability, but the reverse does not hold, in that there can be inseparability without identity. To put the point schematically: if X is the same thing as Y, then of course you will never find X without Y or Y without X. However, it could be the case that X is not the same thing as Y and yet still be the case that you will never find X without Y or Y without X. To see why this is so, consider the following two illustrations. Let “X” stand for “being a brother” and “Y” stand for “being a male sibling.” In this case, X and Y are identical. It follows trivially that, in this case, X and Y are also inseparable. That is, you will never find a brother who is not a male sibling, and you will never find a male sibling who is not a brother. But now let “X” stand for “having three sides” and “Y” stand for “having three angles.” In this case, X and Y are not identical. After all, for something to have three sides is for it to have three sides, whereas to have three angles is to have three angles, and certainly a side is not the same thing as an angle. But even though this is true, it is nonetheless also the case that, as far as so-called closed plane figures go, X and Y are inseparable. That is, you will never find such a figure that has three sides but doesn’t also have three angles, and you will never find one that has three angles but doesn’t also have three sides. Consider any triangle: it has exactly three sides and exactly three angles. You might be wondering what the reason is for going into all this detail. It’s simple. Suppose that you accept the Divine Command Theory. Then of course you are also committed to accepting the Weaker Thesis. But suppose that you reject the Divine Command Theory because you believe that God has good reasons for the commands he gives (that is, because you accept proposition (II)). That most emphatically does not mean that you must also reject the Weaker Thesis. You could reject them both, of course, but the point is that you don’t have to. On the contrary, you may agree that an act’s being overall morally obligatory is not the same thing as its being commanded by God and yet believe that you cannot have one without the other. You might be wondering why someone would accept the Weaker Thesis if he does not also accept the Divine Command Theory. Well, consider again the traditional, three-part conception of God according to which he is omnipotent, omniscient, and perfectly good. Presumably, on this conception of God, if some act is overall morally obligatory, then God, being omniscient, would know this, and, being omnipotent, he would be able to impart this information to us and let us know it too, and, being perfectly benevolent, he would want to impart this information to us. And perhaps, in his wisdom, God would choose to impart this information to us by way of commanding us to act in certain ways and not in others. If so, then we would have good reason to accept the second clause of the Weaker Thesis that says: (ii) if an act is overall morally obligatory, then God commands it. Now what about the first clause of the Weaker Thesis? Well, being perfectly benevolent, God wouldn’t want to mislead us by commanding us to do things we shouldn’t do, and, being omniscient, he would know when a command would be misleading in this way, and, being omnipotent, he would be able to avoid misleading us in this way. If this so, then it would seem that we have good reason to accept: (i) if God commands an act, then that act is overall morally obligatory. The upshot of this discussion is that rejecting the Divine Command Theory does not require rejecting the idea that there is some close connection between God and morality. True, if you reject the Divine Command Theory then you cannot claim that God is the author of morality, but you can for all that claim that he is the ultimate authority on morality. You cannot claim that morality is constituted by God’s commands, but you can nonetheless hold that it is contained in his commands. Why? Because, if there are objective matters of fact about ethics, who could be better placed than God to know what they are, and who could be better relied on to let us know what they are? Many people believe the answer to these questions to be, “No one.” Whether this is the correct answer is, of course, a matter of debate. But what is clear is that it is an answer that is perfectly consistent with a rejection of the Divine Command Theory.